FORT WORTH — Even though he can openly carry a handgun in Texas with the right permit, Jonathan Grummer thinks that still doesn’t allow him enough freedom in a country where firearms rights are enshrined in the Constitution. “Within reason, I want to be able to open carry everywhere in the United States because I’m a law-abiding citizen,” he said. While his stance plays into a stereotype of Texas being a rural, gun-loving bastion of conservative politics, Grummer lives in the third-largest county in the state. Sprawling out from Fort Worth, Tarrant County helps co-anchor the nation’s fourth-largest metropolitan area along with Dallas. But unlike other population centers in Texas, Tarrant’s urban status hasn’t flipped the county’s conservative leanings. Tarrant’s 1.9 million residents are spread out across Fort Worth, its bevy of suburbs and large stretches of rural land even farther out from the city center. Tarrant is also home to Arlington, the state’s seventh-largest city and the place where the Dallas Cowboys and the Texas Rangers play. Like many precincts in Fort Worth’s urban core, large parts of that town also went for Democratic presidential candidate Hillary Clinton. To Tarrant’s east is Dallas, a bustling county of 2.6 million people that went Democratic more than a decade ago. But on the other side is Parker, a county of 126,000 whose voters supported President-elect Donald Trump with a margin more than 7 times larger than what he received in Tarrant. Fort Worth locals say the county seat is the “biggest little town” in America. For tourists, its most well-known attraction is the Stockyards, a living throwback to the area’s Western heritage. Cattle are herded through the historic district twice a day. The area also hosts the weeks-long Fort Worth Stock Show and Rodeo, a livestock and cowboy extravaganza that kicked off this month. “It really is a city where everyone knows everyone else, and so it has less of an urban feel than you would find in other urban areas in the country,” said Riddlesperger. 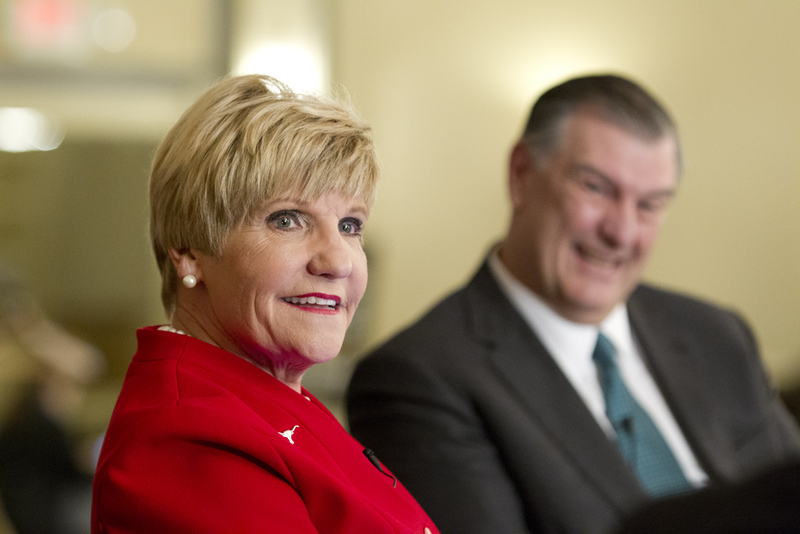 Fort Worth Mayor Betsy Price won election as mayor, a nonpartisan position, in 2011 after she had previously been the county’s tax assessor-collector, a post she held as a Republican. The previous mayor, Mike Moncrief, was familiar to the city’s voters from his time as a Democratic state senator. Price said that for decades, Fort Worth voters have cared more about electing moderate, effective, business-minded officials rather than candidates from a particular party. When the Fort Worth native attended her first U.S. Conference of Mayors shortly after her election, she was shocked to learn that most of her counterparts in the country were Democrats. Things are much different in Fort Worth’s suburbs, especially those in the northeast corner of the county, where tiny but affluent towns surround Dallas/Fort Worth International Airport. This is where one of more than a dozen chapters of the Tea Party took hold across the state around the time President Obama took office. Yet as the group grew to include more than a dozen cities, so did its influence and the number of lawmakers it propelled to office. 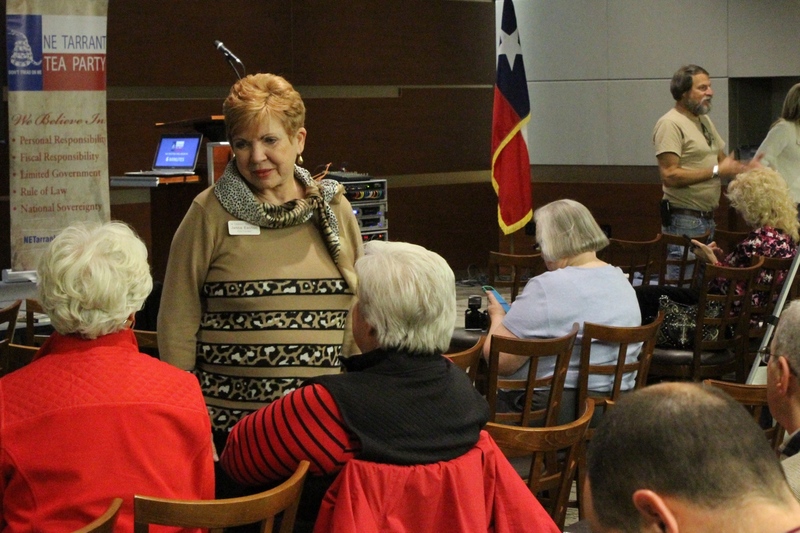 McCarty, the NE Tarrant Tea Party’s president, said as the group succeeded in getting their candidates elected, the organization has drawn more attention across Texas. Statewide candidates now request to come speak to the group. Big-name headliners draw more people to events. “It’s just this wonderful cycle,” she said. Konni Burton, the group’s former vice president, was elected to the state senate in 2014. The Colleyville Republican said many suburban residents in her district have grown tired of electing GOP officials who only pay lip service to conservative tenets such as limited government and fiscal restraint. That sentiment is what drew Grummer, the gun rights proponent, to the group. He first got involved after Congress and President Bush approved huge bailouts of the financial industry in 2008. “We don’t need to have the government taking our money and putting it into something that doesn’t work,” he said. Meanwhile, minorities’ share of the population has increased steadily, growing both inside and outside of Fort Worth. Some of the largest concentrations of black and Hispanic residents still live near the urban core in neighborhoods north, southwest and southeast of downtown. Growth among the county’s Hispanic residents has yet to reach statewide levels, but black and Asian Texans make up a larger share of the county’s population compared to their statewide numbers. 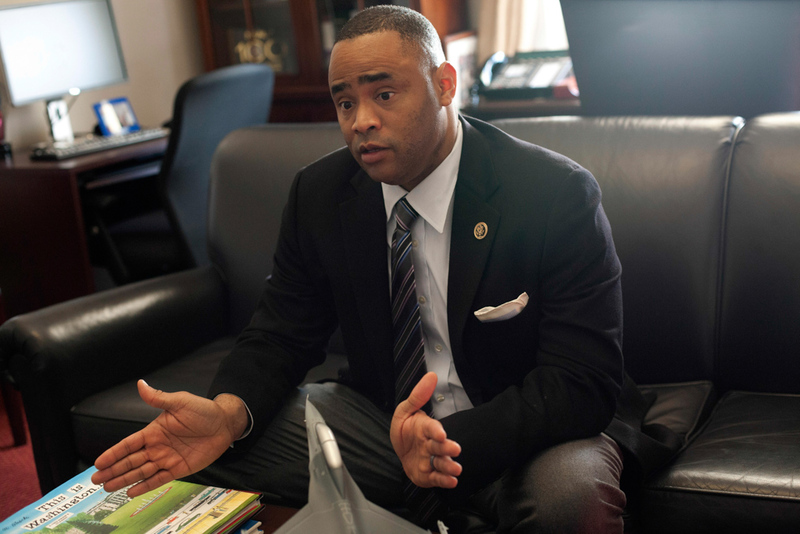 Veasey, the Democratic congressman, thinks the changing population could soon help give his party a boost at the polls. Others aren’t convinced that demographics necessarily determine political affiliation. Riddlesperger, the political science professor, said Americans’ political leanings these days largely come down to a voter’s specific place of residence. And even though Tarrant continues to grow, a lot of that is occurring on Fort Worth’s north side, an area of new developments that look more like a typical suburb than a stereotypical urban core. 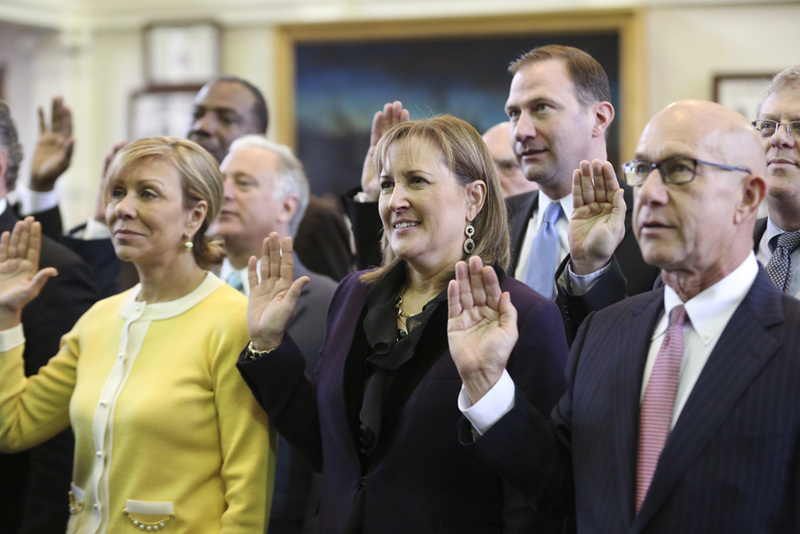 Burton, the state senator, said she thinks the county’s status as a Republican urban stronghold portends a national shift in her party’s direction — and that Tarrant will only move more to the right. Burton said many of the county’s newcomers are attracted by the conservative political leanings. “We’re all very independent-minded Texans that truly believe in us doing things for ourselves, keeping government out for the most part,” she said. But Price, the mayor, said Tarrant’s political future likely hinges on two things: how much this year’s state legislative session is dominated by politics instead of governance and whether a bombastic incoming president can maintain voters’ support once his administration is in power.